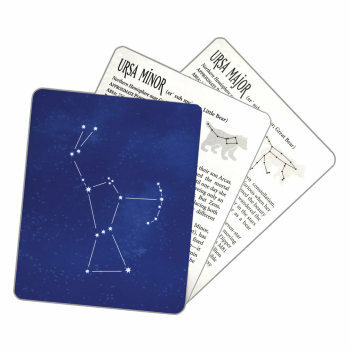 I Love You, Michael Collins by Lauren Baratz-Logsted, Astronomy/Space: Educational Innovations, Inc.
A heartwarming story about family and being true to yourself. It's 1969 and the country is gearing up for what looks to be the most exciting moment in U.S. history: men landing on the moon. Ten-year-old Mamie's class is given an assignment to write letters to the astronauts. 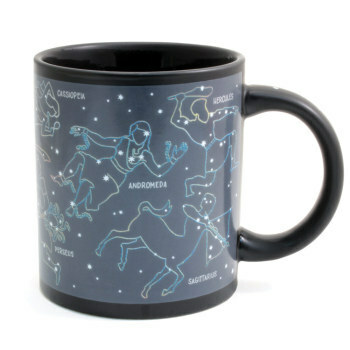 All the girls write to Neil Armstrong ("So cute!") and all the boys write to Buzz Aldrin ("So cool!"). Only Mamie writes to Michael Collins, the astronaut who will come so close but never achieve everyone else's dream of walking on the moon, because he is the one who must stay with the ship. After school ends, Mamie keeps writing to Michael Collins, taking comfort in telling someone about what's going on with her family as, one by one, they leave the house thinking that someone else is taking care of her--until she is all alone except for her cat and her best friend, Buster. And as the date of the launch nears, Mamie can't help but wonder: Does no one stay with the ship anymore? 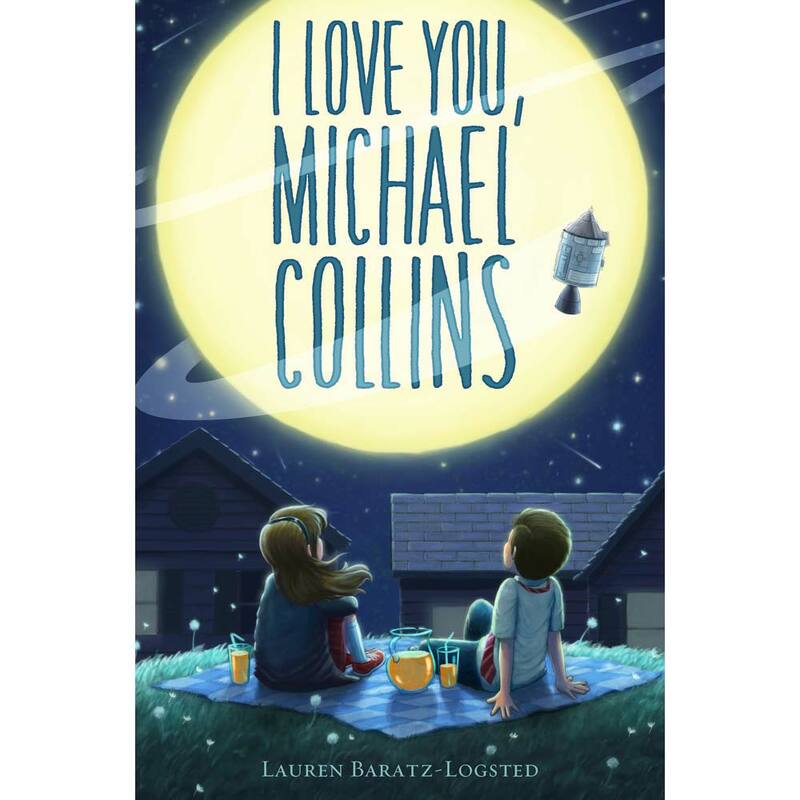 With I LOVE YOU, MICHAEL COLLINS, Lauren Baratz-Logsted has created a heartwarming story about family and being true to yourself. Paperback, 230 pages. 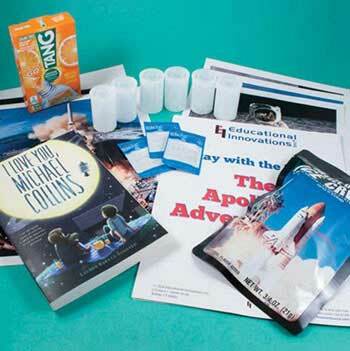 Get an autographed copy with our Apollo 11 Adventure Kit! This is a wonderful story about a time with the United States pulled together to cheer on the space race. Embedded in this event is the tale of Mamie, a 10-year-old girl who's trying to figure out a lot of things while writing a series of letters to Michael Collins, the astronaut who stayed in the Command Module while Aldrin and Armstrong walked on the moon and received all the limelight. I highly recommend this one as either a read aloud or a regular guided reading exercise! 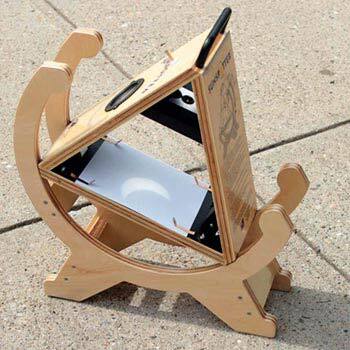 Perfect for grades 3-7.